This exclusive vacation retreat is uniquely designed and decorated in "Country Elegant" styling to accommodate 12 guests in 7 private bedrooms. The fully stocked kitchen welcomes you to make a breakfast, prepare a gourmet dinner on the wolf range with an oven and one-half or grill out your "catch of the day." You can choose to eat in the lovely dining area that accommodates 12 or outside on the deck to watch the sunset. Prepare a picnic lunch for a day on the lake as 2 full-size refrigerators allow ample room for storage, regardless of the length of your visit. The Master Bedroom is a relaxing oasis whose private bathroom includes a jacuzzi tub and private television, while each bedroom has its own special theme to allow special memories unique to each visitor. The family can gather for a pool game in the basement while enjoying the large screen television or play board games. Any quiet time can be spent in the spacious aerie that includes a fully stocked eclectic library of reading choices, or guests can spend their "aerie time" viewing activities on the lake or the abundance of bird life that frequent the skies from this special oasis. If you are fortunate, you may spy the bobcat who lives across the lake in the uninhabited foothills. And of course, there are always the Eagles! The parking area is ample for the family to arrive from various destinations. There is no requirement to bring a boat to Eagles Haven as the full-service Wolf River Marina is located within 5 minutes of Eagles Haven, by car or by boat. This Marina will rent pontoon boats to allow the entire group to enjoy time on the lake and bait is sold to those who wish to try their hand at fishing. There are multiple choices of Marina's within a short jaunt from Eagles Haven. Our home creates a welcoming "country elegance" and relaxing atmosphere for responsible individuals seeking family vacations, reunions and retreats or private meetings. Book Ko Tao vacation home rentals with us now & enjoy this beautiful destination. The “Lower” villa suite features amazing architecture, a huge living/entertaining room with vaulted ceilings, built around the granite boulders of Koh Tao, and wonderful views. The “Lower” villa suite has one master bedroom with double bed, air-con, 50″ flat HDTV with premium programing by satellite. There is also a sleeper couch in the fan only living room, available at no extra charge. The “Lower” villa suite does not include swimming pool access, unless it has been booked as part of the whole house (both “Upper” & “Lower), but does include our famous 24 hour courtesy car and driver service to anywhere you want to go, including beautiful bays and beaches, some accessible only by four wheel drive! Up the coast is a busy marina with Hawaii's best scuba diving, big-game fishing, kayaking, dolphin and whale watching and other ocean activities. This vacation home is conveniently located in Kona, making is a great home base to explore the many wonders of the Big Island including Volcano National Park, Mauna Kea Observatory, coffee and macadamia nut farms, artist communities and much more! Let our on-island concierge assist you in planning your activities. 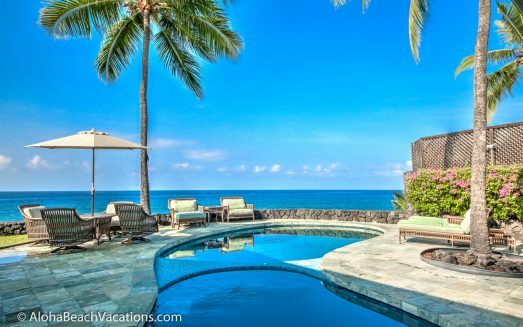 Make you vacation amazing with Kailua Kona Vacation Home Rentals in Hawaii! Also on the upper level is an office/study that can be converted to another queen bedroom for two; please note there is not a dedicated bathroom for the study when used as an extra queen bedroom. The lower level has two king size, master suites with full baths to include outdoor "rain forest" showers. 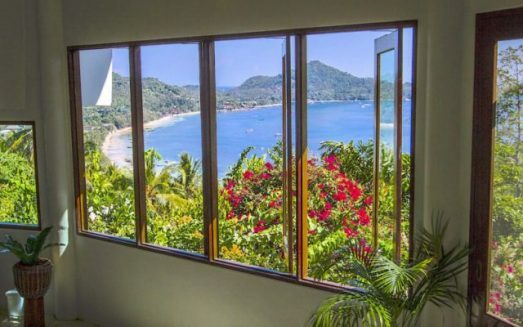 This Troncones Villa is staffed with a full-time housekeeper and groundskeeper. An English/Spanish speaking property manager will greet you and is available should you need additional assistance. 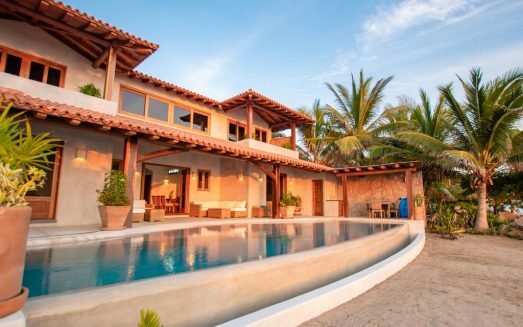 [post_title] => La Nueva a New, Custom Built, Luxury Villa on the Beach! Villa Selinunte is a beautiful villa which can be rented in Sicily to spend your vacation by the sea. Located on an estate of 10 hectares planted with orange trees and olive groves, this villa is one of the five ones that you can find on the property, which are all controlled by a caretaker who lives there. The property covers about 200 square meters and has 3 double bedrooms (2 doubles and one twin), 3 bathrooms with shower, a large sitting room with sofas, TV and dining table, a large kitchen and two covered porches, one with a dining table for 8 people and a barbeque and the other with sofas masonry. In Villa Selinunte's beautiful garden, located on 2 levels, you'll find a large swimming pool with sun beds and chairs and a gazebo. The villa is located only 10 minutes drive from the beach of Marinella di Selinunte. Villa Selinunte is just 10 minutes drive from the famous beaches of Marinella di Selinunte. Among the beaches which worth a visit, there is definitely the Lido Beach La Pineta, located inside the Natural Reserve of Belice, with its natural wonders and wildlife. Near Marinella di Selinunte, easily reachable by car from Villa Selinunte, there are also Lido Beach Zabbara all'Acropoli and the Beach Scalo di Bruca al Porto. Villa Turchese is a typical masseria square shaped with a spacious internal courtyard (900 square metres). The owners' house is on the right hand side (separate entrance). This luxury villa for rent in Sicily comprises: main entrance, two large living rooms, huge indoor dining hall, TV room, fully equipped kitchen and outdoor loggia . At the back there are other 4 bedrooms. On the front side there are 6 bedrooms, each with private bathrooms. The annex building, located next to the SPA, features further 2 double bedrooms, each with ensuite bathroom. The villa is surrounded by a beautiful garden rich in palm trees, including fountains and an oriental bird cage. It is set in a estate (more than 100 hectares of orange trees, olive groves and farmland). The swimming pool of Villa Turchese is next to the SPA and comprises a wide shaded area. The estate also comprises archaeological ruins of a burial cave dating back to IX century B.C., that well worth a visit! Villa Turchese provides you with an unforgettable experience, offering services and facilities for all your special moments: conventions or business meetings, honeymoons or even weddings ( private chapel). It also possible to take part in trips and cooking classes. Villa Le Palme is the perfect location for an unforgettable holiday in Italy on Lake Como. Furnished with original 18th century antiques, this luxury villa has been completely refurbished by its owners to ensure that guests enjoy the past splendours along with all modern conveniences. A further stairway leads to the second floor of the villa (roof top) which features a very large master bedroom with private bathroom, a gym room, two further twin bedrooms and a single room. They all share two bathrooms (one with Jacuzzi and shower the other only with shower). This luxury villa is ideal for a holiday of comfort and relaxation, thanks to its two kitchens, to the presence of a small wine bar and gym, but especially thanks to the outdoor jacuzzi with a direct view on Lake Como. This luxury villa is the perfect place for those guests who want to enjoy sightseeing on the Lake, take advantage of the many excellent restaurants and “local trattorias”, walk in the foothills of the Alps or just relax and enjoy Villa Le Palme’s extraordinary setting. Villa Iridia is a luxurious property for rent on Lake Como, in close proximity to Hollywood actor George Clooney property. This amazing luxury villa was initially built in 1840 and is composed of two different buildings: a main villa and the so called “Casa Bianca” (White House) which was destined to the local fishermen during the Eighteenth century. The two buildings are fully connected and they can be kept separated or joined in accordance to the guests’ needs. In any event, all the common areas and bedrooms share the air conditioning system and the audio-diffusion system. The main building of Villa Iridia offers three floors: on the ground floor, you will be welcome by a beautiful entrance hall and a scenic corridor with a direct view both on the garden and the magnificent Lake Como. On the same floor, there is also a convenient service bathroom and a living room equipped with a traditional fireplace and ample windows facing the blue waters of the lake. This sublime villa features a fully-equipped kitchen with a modern appeal and and a dining area that can be reached through a beautiful 1920 glass and brass door. In the small extension in the kitchen you will wind a convenient utility room that will come in hand while you’ll be cooking your Italian recipes. The ground floor of Villa Iridia also offers an exclusive fumoir with direct view on the lake and hand-painted upholstery, and a breathtaking winter garden, again with huge French windows directly connected to the garden and facing the Lake. On the first floor of Villa Iridia you will find a scenic hallway and corridor leading to a balcony facing Lake Como, a double bedroom overlooking the lake and featuring its own private bathroom, a master bedroom (again, overlooking the lake) with huge private bathroom, a self-standing Agape bath tub and a large shower box. The master bedroom also features its own private balcony. Finally, the second floor of Villa Iridia offers a French bedroom with private bathroom, a master bedroom with en-suite bathroom and direct view on the lake, and a three-beds bedroom with private bathroom and overlooking Lake Como. The Casa Bianca, which during the Eighteenth century was used as a fisherman's house, offers an entrance and service bathroom on the ground floor, a kitchen facing a roof garden and a living room on the first floor and finally, on the second floor, a master bedroom facing the lake, with en-suite bathroom equipped with self-standing Agape bathtub. The second and last floor also features a two-beds bedroom with private bathrooms. Villa Iridia includes a magnificent garden and a garage for two cars. - 3 large sitting rooms, one with frescoed ceiling and one with fireplace, and TV set, a large dinning room. - Kitchen with exit to village, well equipped with fridges, dishwashes, microwave, two ovens. Outside the villa, a glorious portico along the lengh of the house offers a wonderful setting for "alfresco" meals and lounging in the shade. Outside Villa Aurea, you'll find a very nicely maintained walled garden with lawns, hedges and shrubs. The swimming pool of the villa, 6x12/20x40 feet, has a diving board and a security cover, and lies next to an annex with ping-pong, mini soccer table and a large barbecue. Villa Masseria is a luxury property located in the countryside of Modica, a beautiful Sicilian village. The building has been obtained by an ancient typical masseria built in the first years of last century and it keeps the architectural characteristics of the traditional rural Sicilian houses, together with all modern comforts. The villa is composed of four bodies, all connected. The main body of the building opens on a wide living room where there is an exclusive flower pot, a reading room to have moments of relax and a sitting room with an ancient billiard table; furthermore, this room is warmed by a big central fireplace. The kitchen is furnished in modern style, whereas the three master bedrooms and the respective bathrooms (one with jacuzzi) reflect the traditional rural design of the house. In this central body, also, there is a loft with reading and meditation corner. Another space included in this exclusive villa is the porch overlooking the beam: furnished with an industrial equipped kitchen, wood oven and carbon barbecue. This space is separed from the outdoor by rolling shutters, in order to be used also in winter. Near the porch there also is a corner bar, overlooking the beautiful swimming pool with stone stair and waterslide. Around the swimming pool there is a wide solarium, surrounded by a lush garden with palms, centennial olive trees and typical fruit trees of the Mediterranean landscape (lemons, oranges and pomegranate). The characteristic “baglio” (beam) is a space of 1500 square meters, where the ancient floor made of Modican stone (typical of rural houses and feuds of this part of Sicily) has been brought back. Other exclusive services included in the property are: a wide BBQ area with chairs in stone (for almost 50 places), a central tank useful to take water through an ancient lever system and a multifunctional dance floor of 250 square meters (enriched by porches and bambooes). Furthermore, this luxury villa is only 15 minutes far from Modica (by car), the “city of the 100churches”  characterised by the Late Baroque style visible in the facades of noble palaces. The city has been included, in 2001, in the UNESCO World Heritage list.